Simply hook the main line and leader line onto the V-shape indentation and pull the lines to remove the fish. 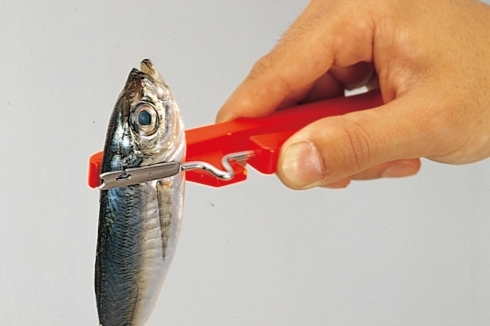 If the fish cannot be removed, lightly press down the scissors. 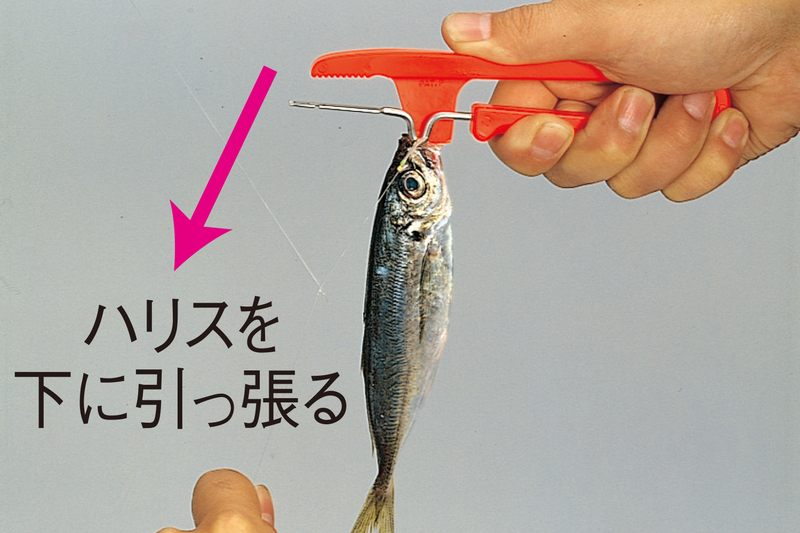 The fish will be removed automatically. If the fish has swallowed the hook, use the hook remover on the tip. Possible to hold the removed fish. Protecting the fingertips from scratches and keeps the hands clean. Ensuring ease of fish removal. 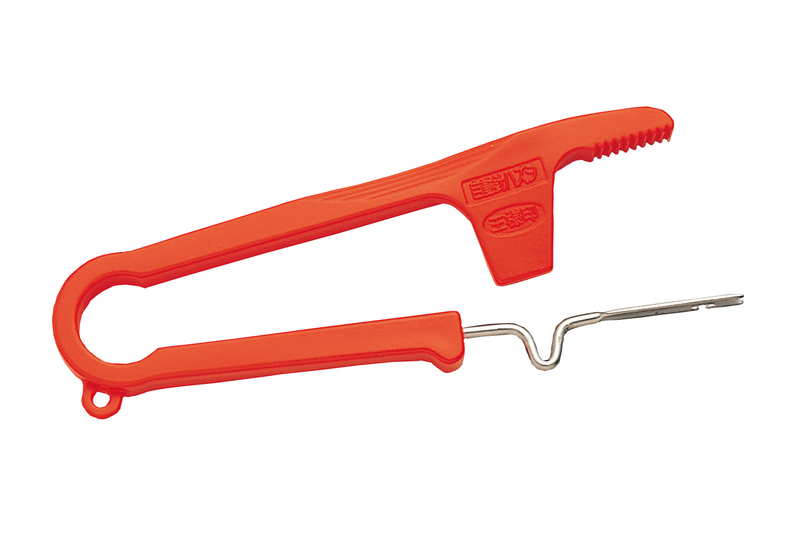 The Automatic Hook Remover is ideal for high-efficiency fish removal especially when fish catches easily and can be used by children with ease.